Packed with insightful quotes, thought-provoking reflections and empowering affirmations designed to make you think about forgiveness in new ways, this uplifting little book provides bite-sized inspiration for you to feel lighter, freer and more at peace in everyday life. What a super little book, it's certainly small but mighty. I've bought the odd self-help book in the past and got bored after a few pages, leaving them barely thumbed through. I do, however, still have a bit of an addiction to this kind of book so I was really pleased to win a copy in a Goodreads Giveaway. Forgiveness only takes about 10 to 15 minutes to read from cover to cover, depending on how much thought you give each quote or idea. In just a few pages of Forgiveness, I was eagerly reading to see what pearl of wisdom or inspirational quote would be imparted next. I was so taken with some of the quotes that I shared them immediately by reading them out to my family. 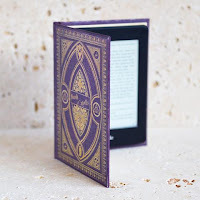 The book itself has beautiful purple pages throughout, which is not only my favourite colour but a colour I find very peaceful and spiritual. Each little section starts with an inspirational quote, including many from literary favourites such as Anne Frank, Mark Twain, Virginia Woolf and Oscar Wilde. The quote is followed by a little passage about forgiveness with some key words such as 'compassion', 'patience' and 'happiness' and then leaves us with a thought to ponder to help us achieve these feelings. Forgiveness certainly made me think about life and how we sometimes make it difficult for ourselves. We often love to wallow in misery and negativity, forgetting how much better we feel when we're happy, kind and loving. This is definitely a book I will dip in and out of in the future, but more likely I will read the whole book over and over again. Forgiveness is full of enlightenment and wisdom, I feel like a better person already after just reading it once. I am so looking forward to how much better I will feel when I put it into practice. 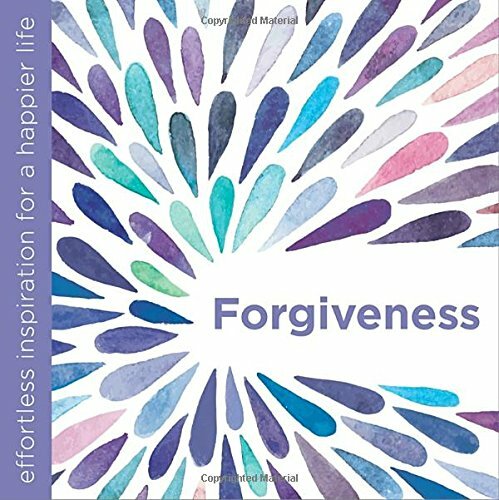 Inspirational and thought-provoking, Forgiveness is a little gem of a book and the best self-help book I have ever read. It may be small but it packs a mighty punch.